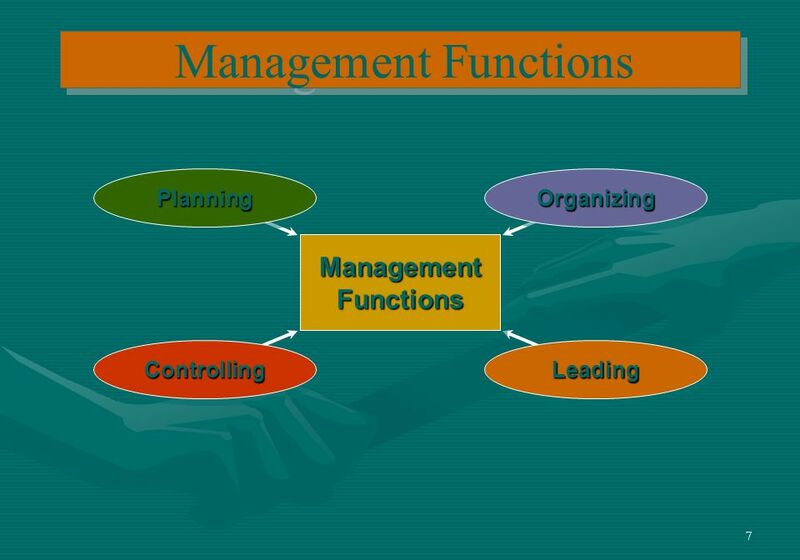 1 Introduction to Management Professor Abdur Rab Use of materials of this document by others for presentation is prohibited. 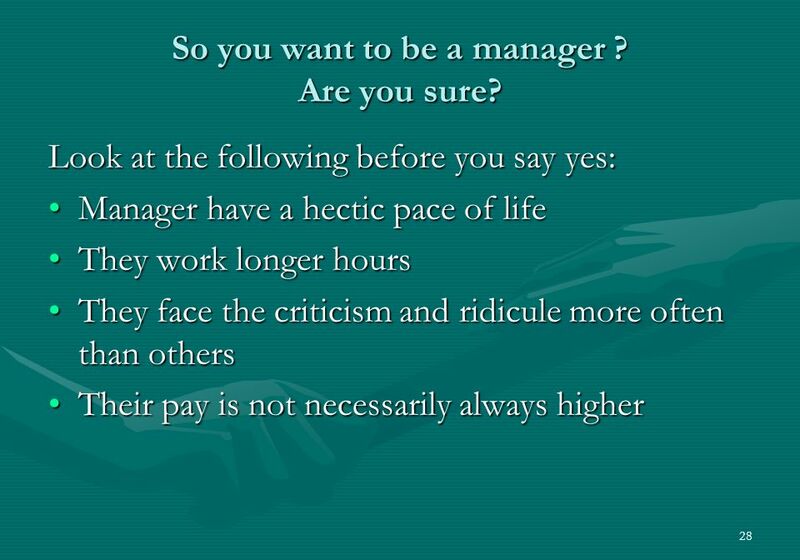 2 2 Who are Managers ?What is their job? 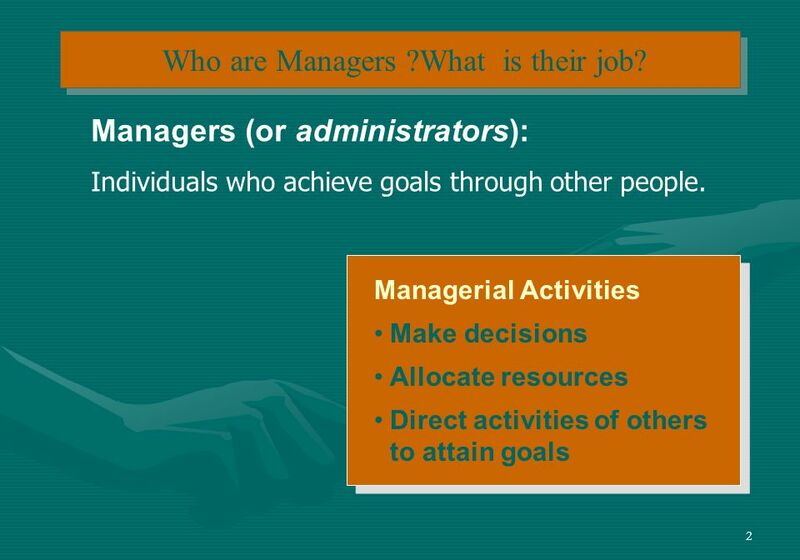 Managerial Activities Make decisions Allocate resources Direct activities of others to attain goals Managerial Activities Make decisions Allocate resources Direct activities of others to attain goals Managers (or administrators): Individuals who achieve goals through other people. 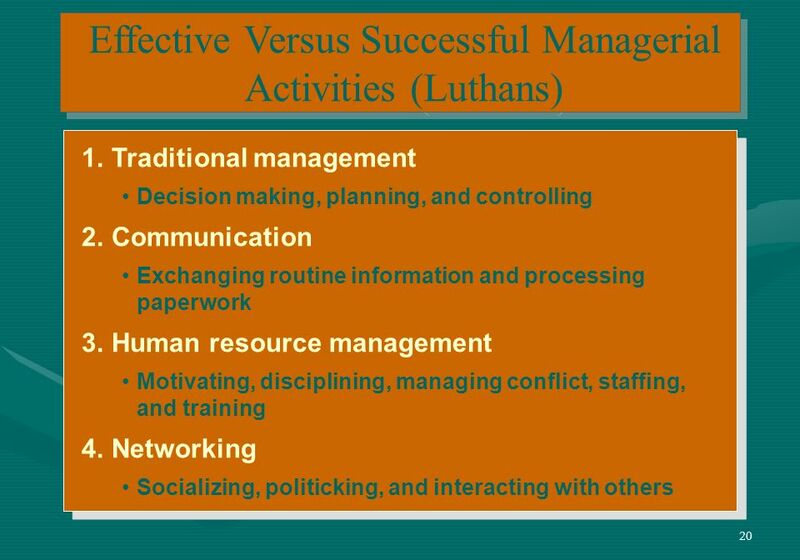 5 Management Management is the process of coordinating human, financial, physical and information. 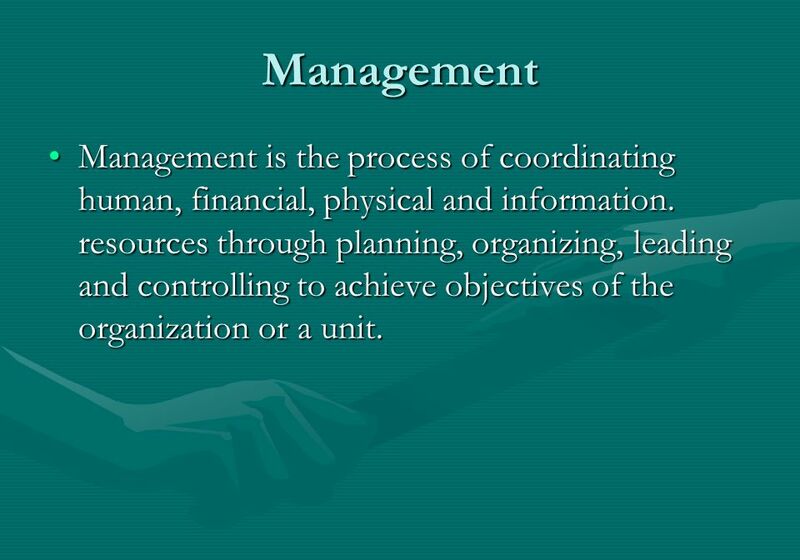 resources through planning, organizing, leading and controlling to achieve objectives of the organization or a unit.Management is the process of coordinating human, financial, physical and information. 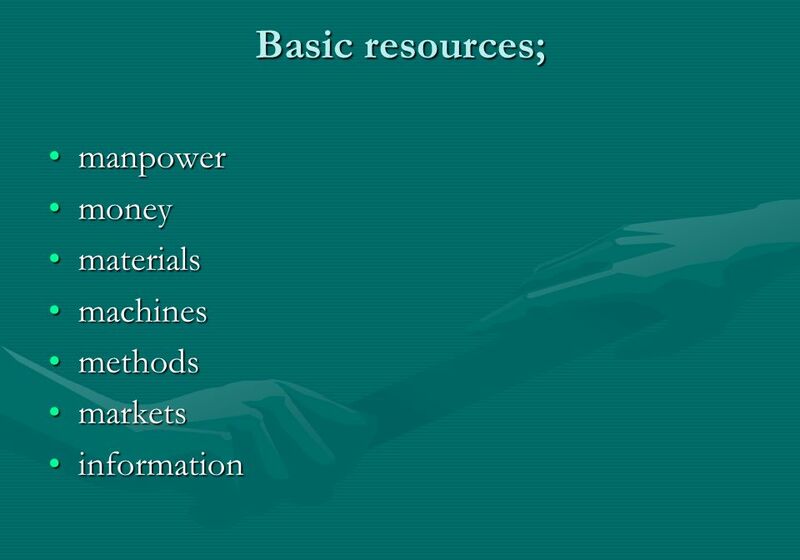 resources through planning, organizing, leading and controlling to achieve objectives of the organization or a unit. 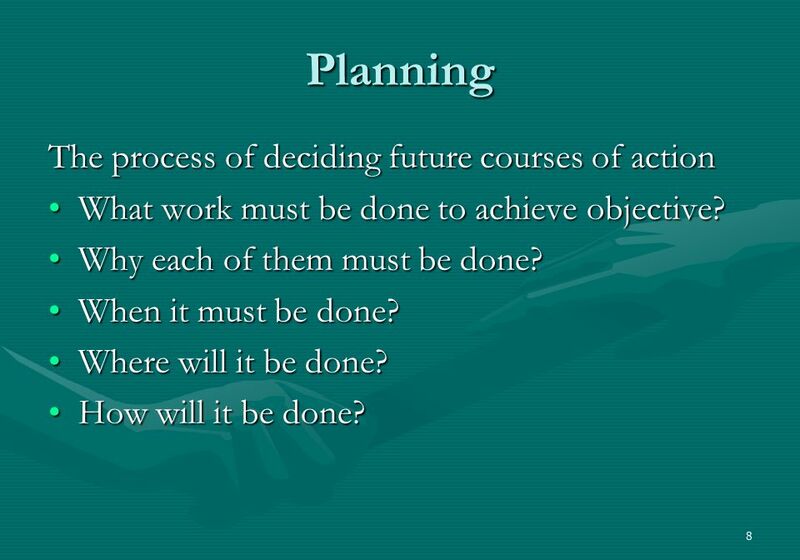 8 8 Planning The process of deciding future courses of action What work must be done to achieve objective?What work must be done to achieve objective? 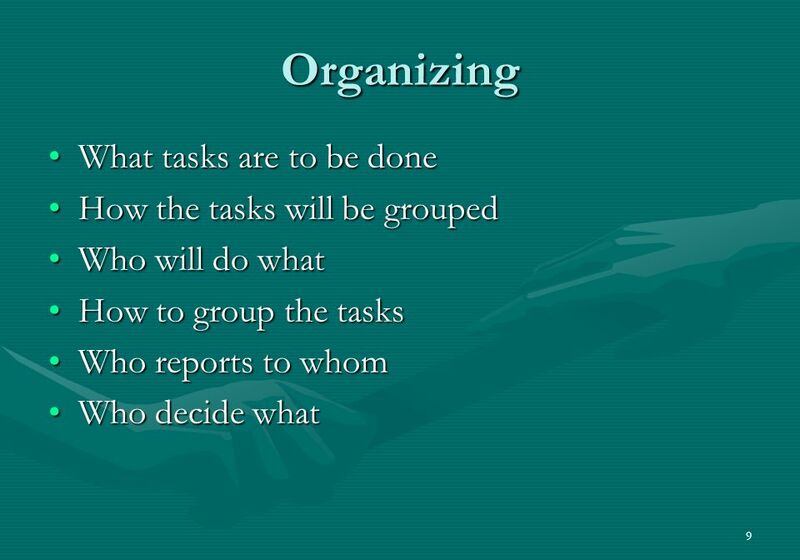 Why each of them must be done?Why each of them must be done? When it must be done?When it must be done? Where will it be done?Where will it be done? How will it be done?How will it be done? 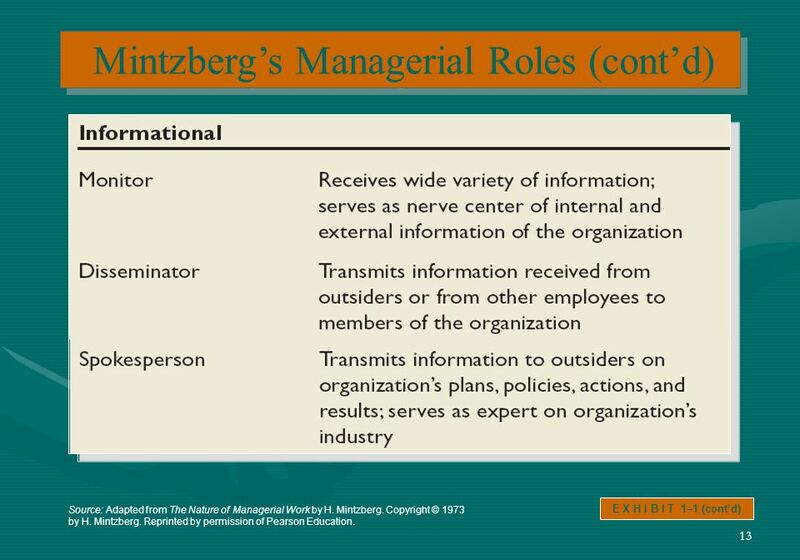 12 12 Mintzbergs Managerial Roles E X H I B I T 1–1 Source: Adapted from The Nature of Managerial Work by H. Mint berg. Copyright © 1973 by H. Mintzberg. Reprinted by permission of Pearson Education. 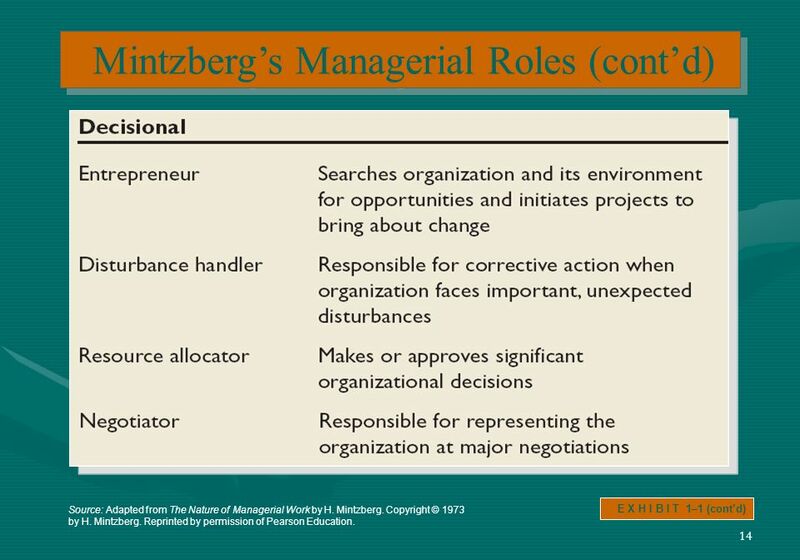 13 13 Mintzbergs Managerial Roles (contd) E X H I B I T 1–1 (contd) Source: Adapted from The Nature of Managerial Work by H. Mintzberg. Copyright © 1973 by H. Mintzberg. 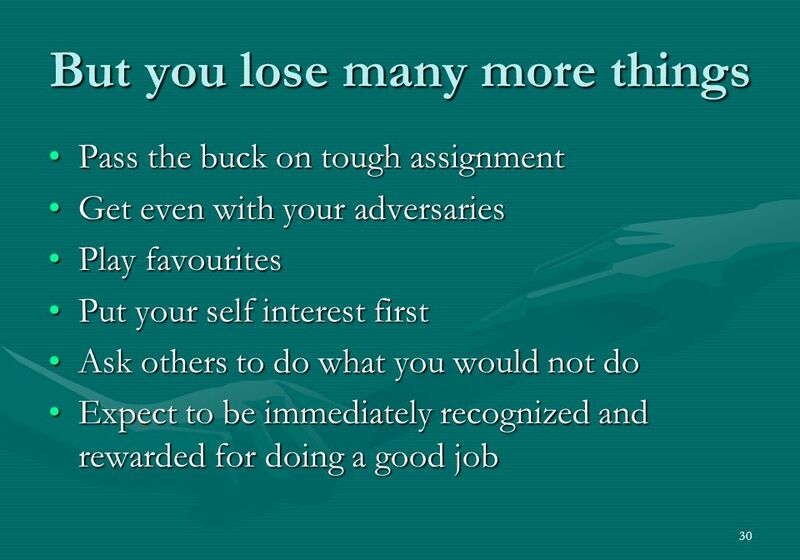 Reprinted by permission of Pearson Education. 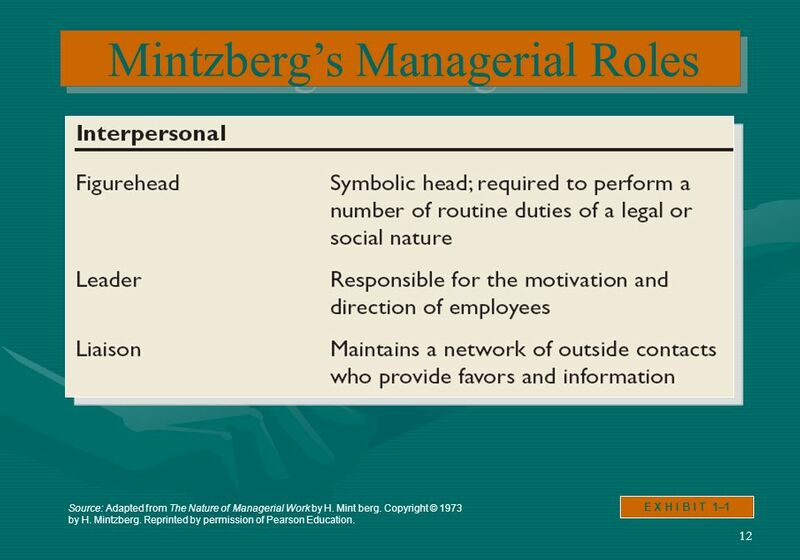 14 14 Mintzbergs Managerial Roles (contd) E X H I B I T 1–1 (contd) Source: Adapted from The Nature of Managerial Work by H. Mintzberg. Copyright © 1973 by H. Mintzberg. 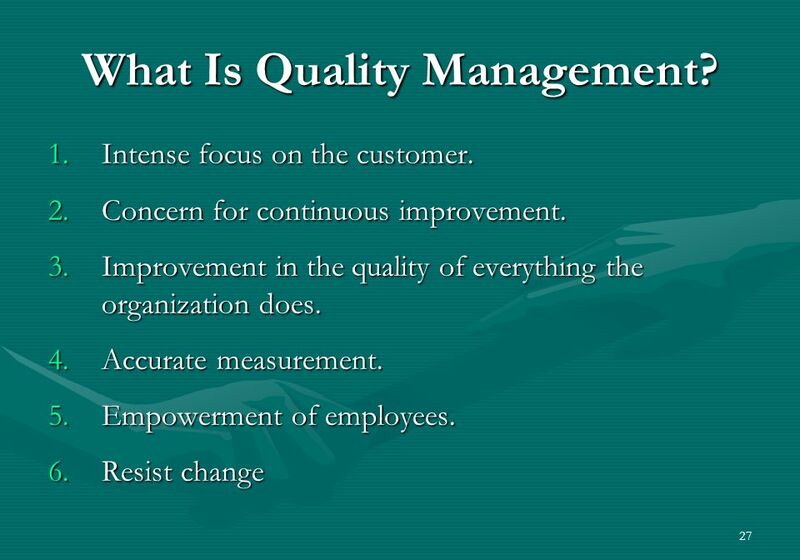 Reprinted by permission of Pearson Education. 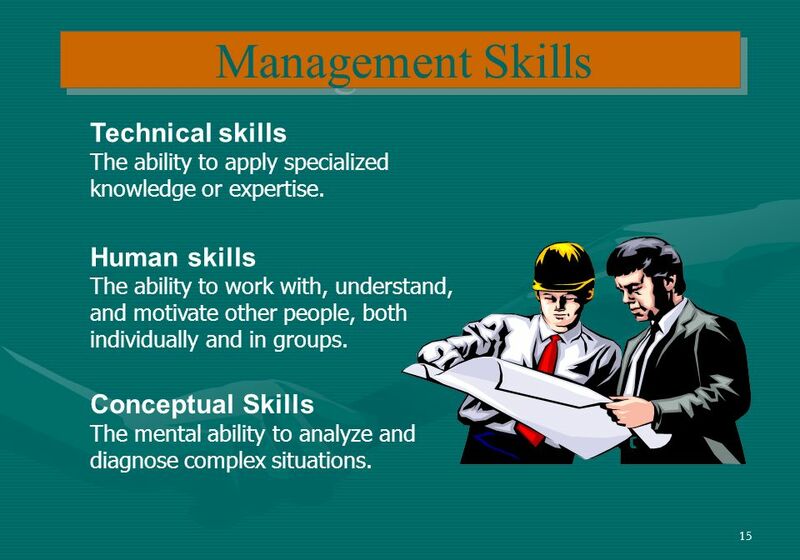 15 15 Management Skills Technical skills The ability to apply specialized knowledge or expertise. 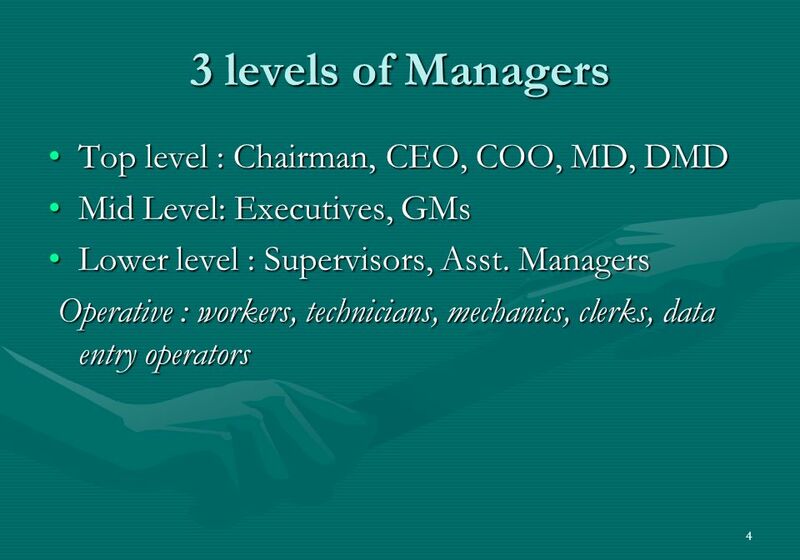 Human skills The ability to work with, understand, and motivate other people, both individually and in groups. 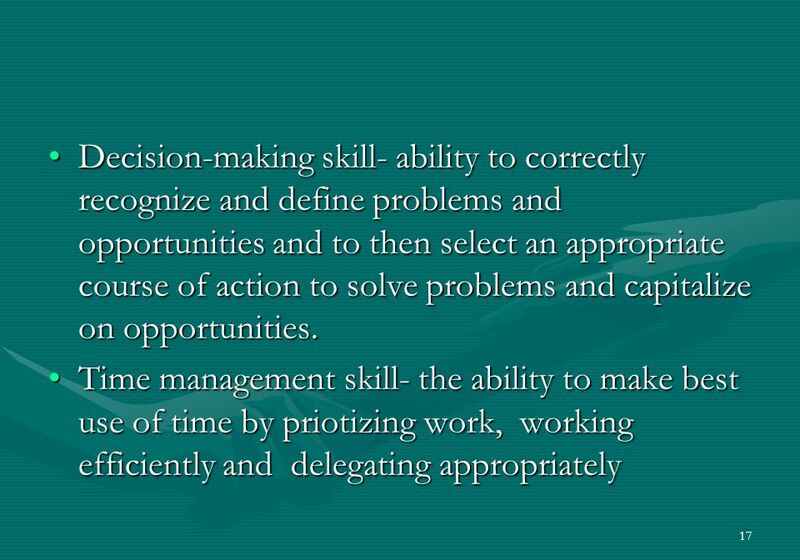 Conceptual Skills The mental ability to analyze and diagnose complex situations. 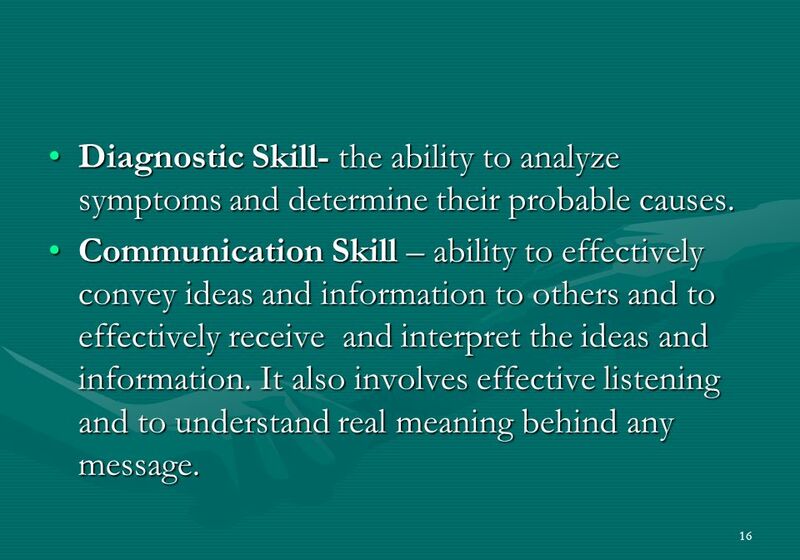 16 16 Diagnostic Skill- the ability to analyze symptoms and determine their probable causes.Diagnostic Skill- the ability to analyze symptoms and determine their probable causes. Communication Skill – ability to effectively convey ideas and information to others and to effectively receive and interpret the ideas and information. 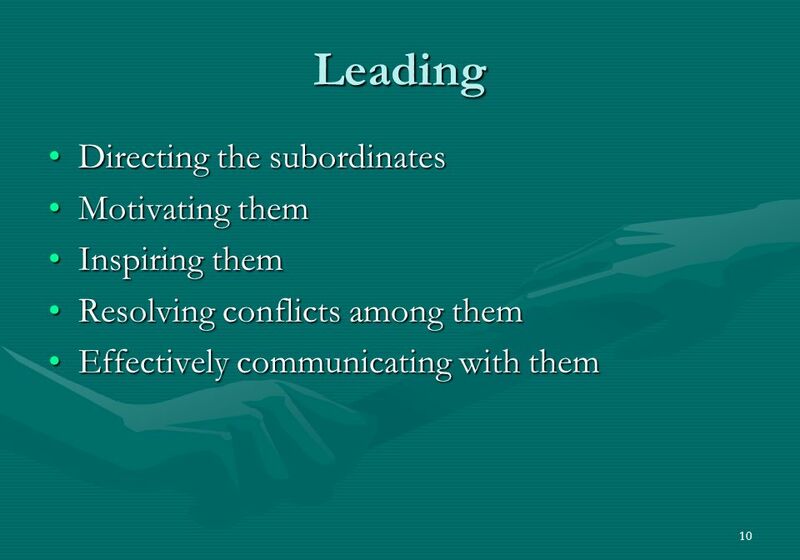 It also involves effective listening and to understand real meaning behind any message.Communication Skill – ability to effectively convey ideas and information to others and to effectively receive and interpret the ideas and information. 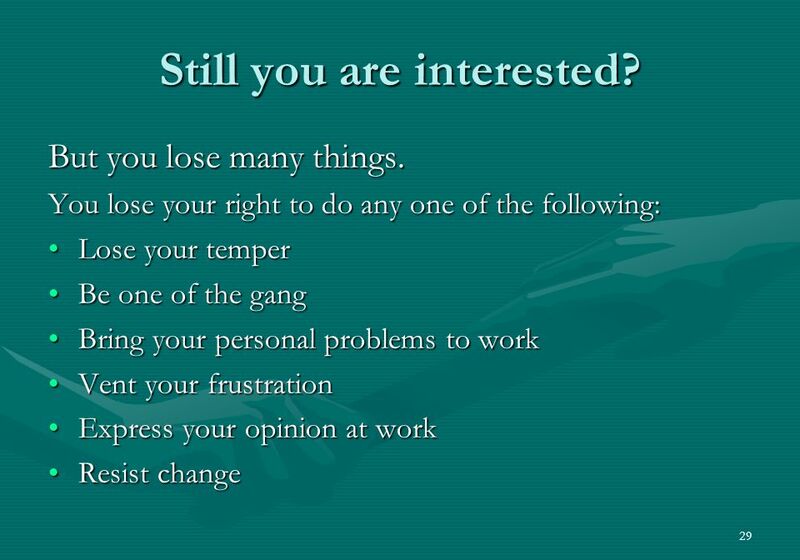 It also involves effective listening and to understand real meaning behind any message. 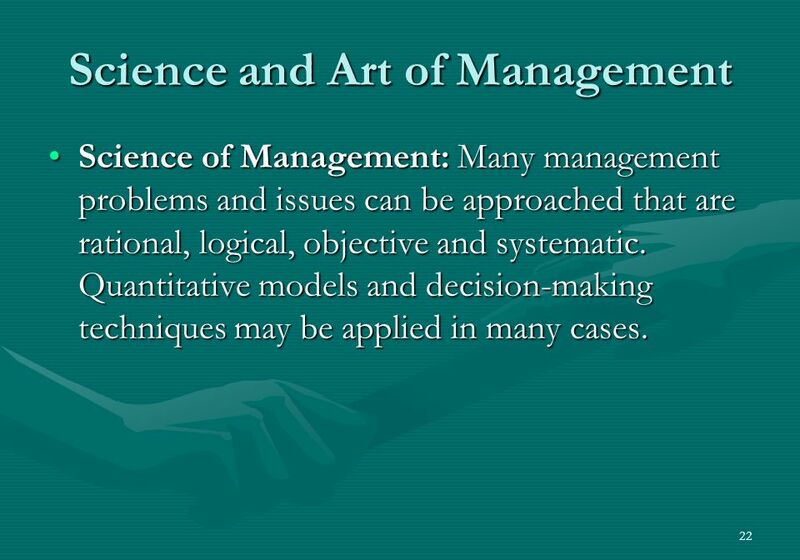 22 22 Science and Art of Management Science of Management: Many management problems and issues can be approached that are rational, logical, objective and systematic. 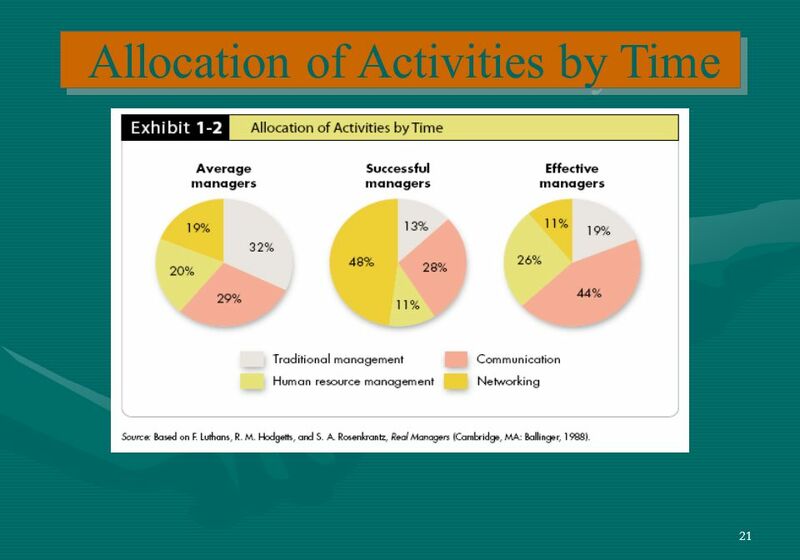 Quantitative models and decision-making techniques may be applied in many cases.Science of Management: Many management problems and issues can be approached that are rational, logical, objective and systematic. 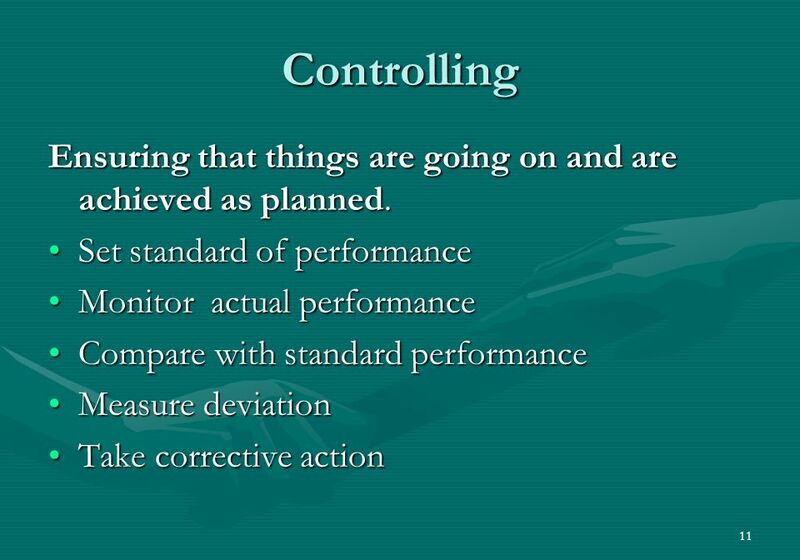 Quantitative models and decision-making techniques may be applied in many cases. 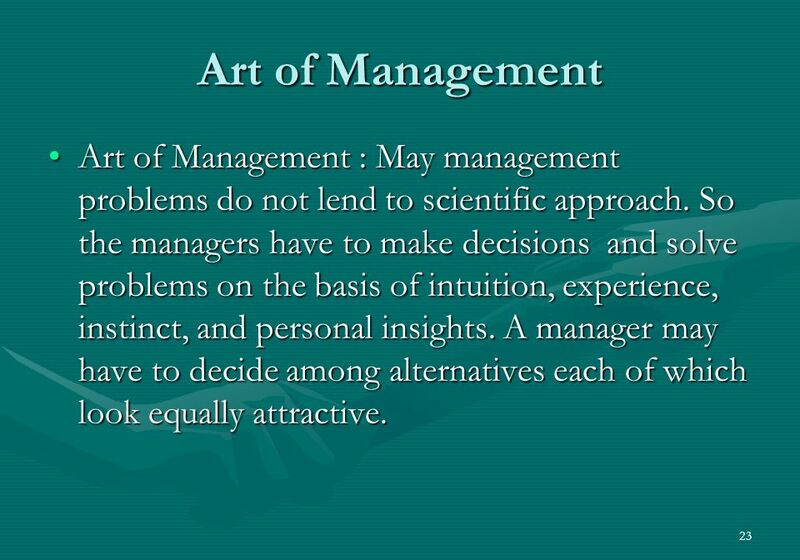 23 23 Art of Management Art of Management : May management problems do not lend to scientific approach. 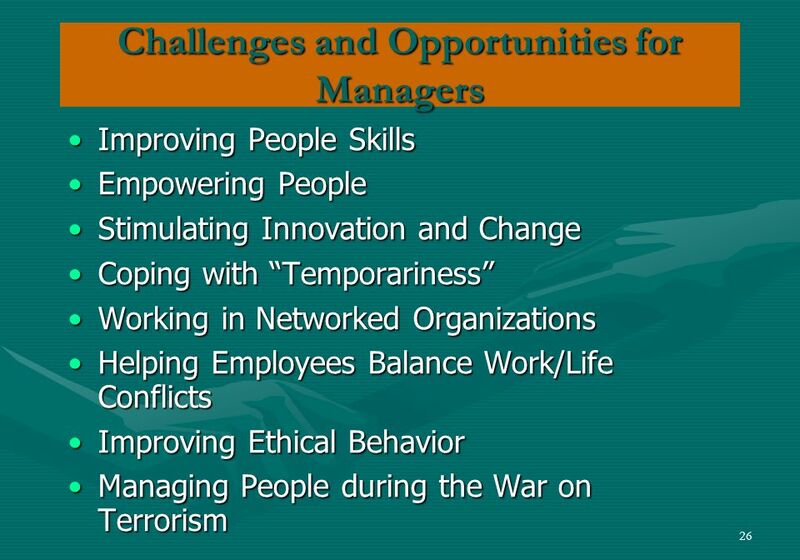 So the managers have to make decisions and solve problems on the basis of intuition, experience, instinct, and personal insights. 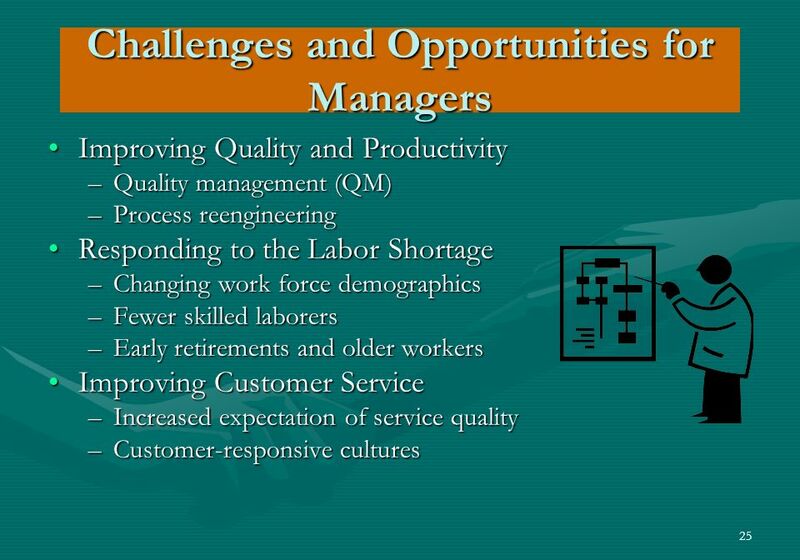 A manager may have to decide among alternatives each of which look equally attractive.Art of Management : May management problems do not lend to scientific approach. 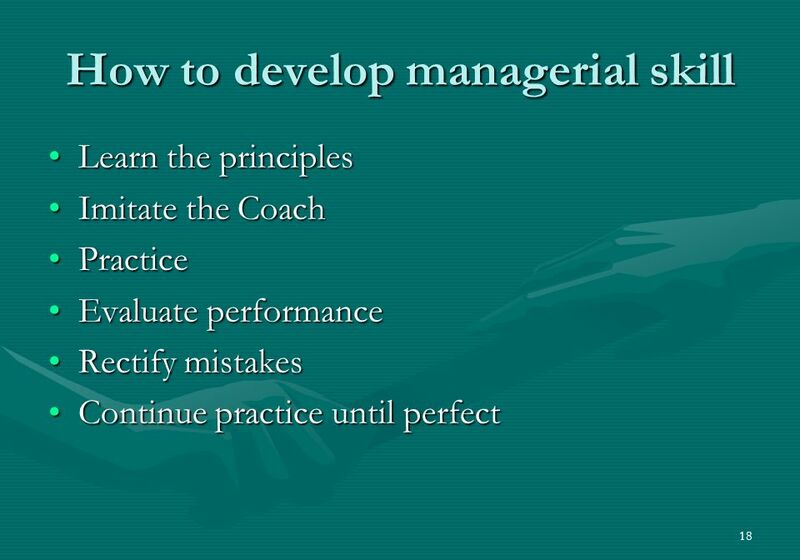 So the managers have to make decisions and solve problems on the basis of intuition, experience, instinct, and personal insights. 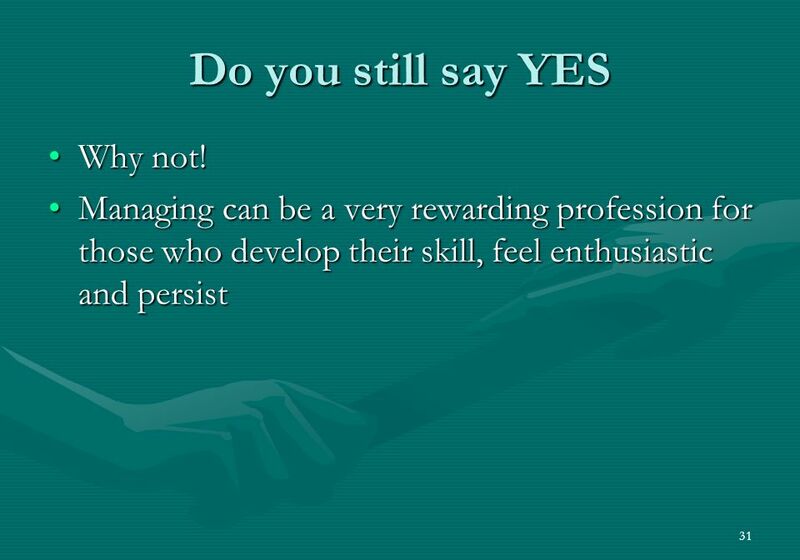 A manager may have to decide among alternatives each of which look equally attractive. 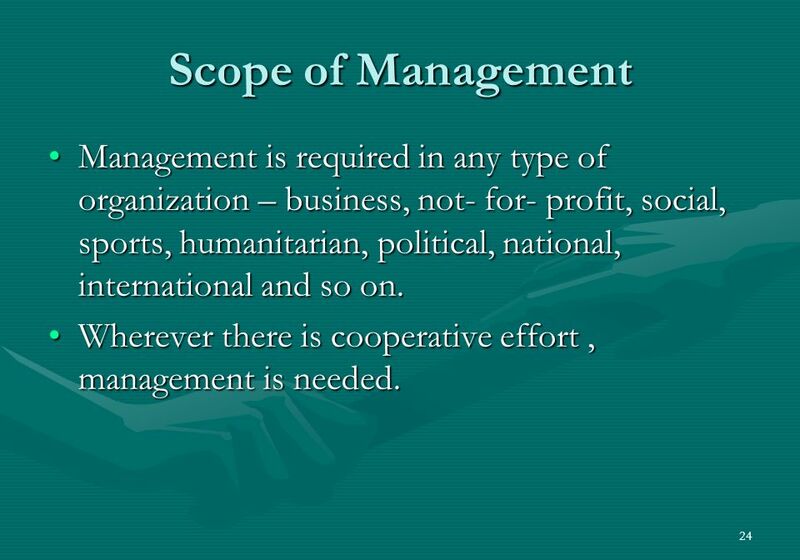 24 24 Scope of Management Management is required in any type of organization – business, not- for- profit, social, sports, humanitarian, political, national, international and so on.Management is required in any type of organization – business, not- for- profit, social, sports, humanitarian, political, national, international and so on. 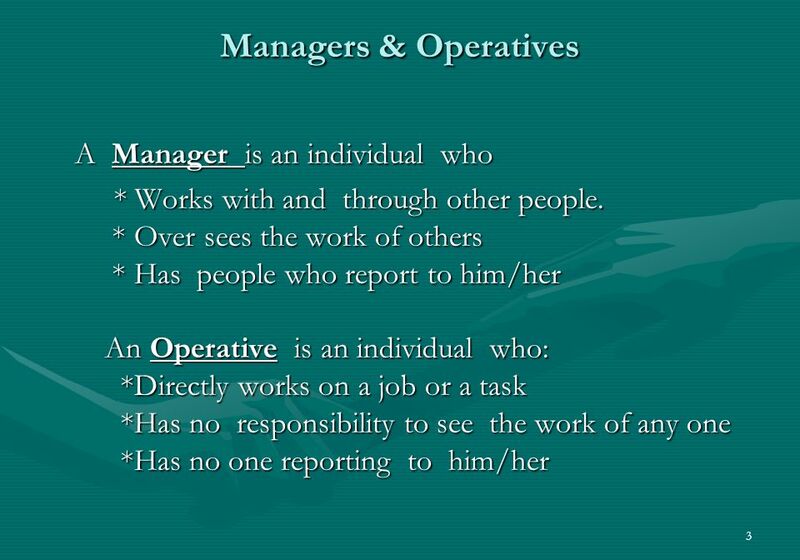 Wherever there is cooperative effort, management is needed.Wherever there is cooperative effort, management is needed. 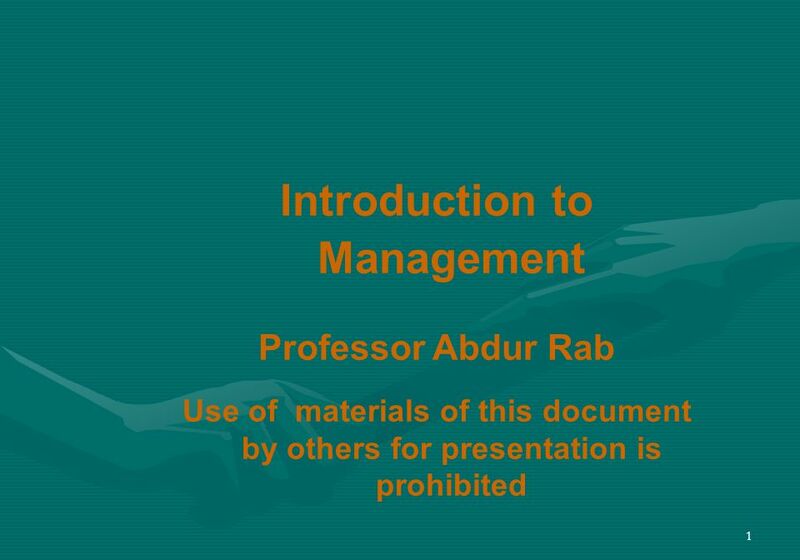 Download ppt "1 Introduction to Management Professor Abdur Rab Use of materials of this document by others for presentation is prohibited."